Although civil ceremonies have some rules and regulations against religious music, you still have plenty of options available to you when it comes to choosing the right music that reflects you as a couple. We can’t think of a better choice in entertainment for your wedding ceremony than live music, because let’s face it… playing a CD just doesn’t have the same impact! If you are worried about factoring in the price of a live musician into your wedding budget, it might be worth saving a portion of it and cutting back on other areas instead to really give you the magical wedding that you are desiring. We have plenty of musicians available to book for a wedding ceremony so keep reading for inspiration before booking for your own special day! One of our favourite choices for wedding ceremony entertainment is the String Quartet. These groups usually consist of two violinists, a cellist and a viola player and when you combine these instruments they give off a magical sound. 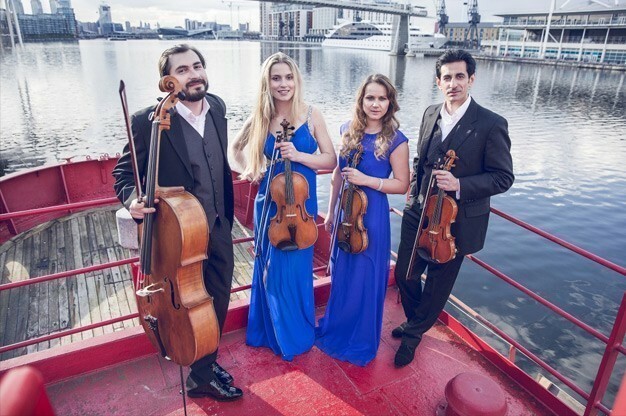 String Quartets usually have a good choice in songs that they know how to play and will offer either classical, traditional wedding music or perhaps more modern songs with an instrumental twist. Want to save a little bit of money? Ask if you can hire your String Quartet for both your wedding ceremony and drinks reception to hopefully grab a little discount! If you want to find a String Quartet near you for your very own wedding day, why not click here to browse our selection? For a lower budget, why not opt for a String Duo instead? A more affordable way to have a similar sound to a String Quartet without breaking the bank is to hire a String Duo instead. Choose between two violinist, a violinist and a cellist and a number of other musical choices (providing they are String instruments of course!). Since you are only hiring two instrumentalists instead of four, the costs to hire a String Duo are usually cheaper (not always the case depending on experience levels). Give your wedding ceremony a more dynamic sound with two musicians and book a String Duo today. Here at Entertainers Worldwide, we absolutely love the sound of a Cello. The warm and rich ambience will give your wedding ceremony a touch of class and they are perfect for Autumn / Winter weddings. Choose from more traditional offerings such as “The Bridal Chorus” by Wagner, or something a little modern from the likes of Coldplay or Ed Sheeran as you walk down the aisle! If you want a warm and welcoming sound to your wedding ceremony, click here to find a Cellist before you get booking! For traditional ceremony music, why not hire a violinist? Violinists are fantastic at performing many different types of music and can offer a romantic sound. They are a traditional choice when it comes to wedding ceremony entertainment and one of the main benefits of hiring a violinist is that they don’t need much space for their performance. If you decide to book a violinist for both your wedding ceremony and your drinks reception it will be very easy for them to change locations. 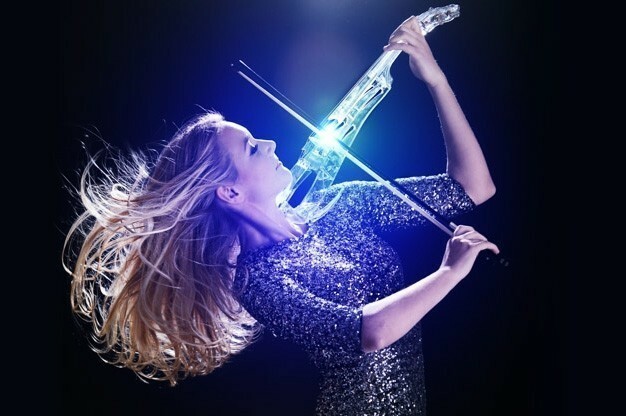 Choose between a traditional acoustic violinist or a more contemporary electric violinist for impact! Click here to check out both options on our website! If your wedding venue has an in-house piano or you just prefer the sound of a pianist to many of the other instruments listed so far, choose a pianist / keyboardist to perform. Most can usually provide their own instruments, and they don’t take up as much space as you might first think! Pianists / Keyboardists can offer a choice in music from gentle Jazz or classical pieces to instrumental modern hits with a bit more pizazz. 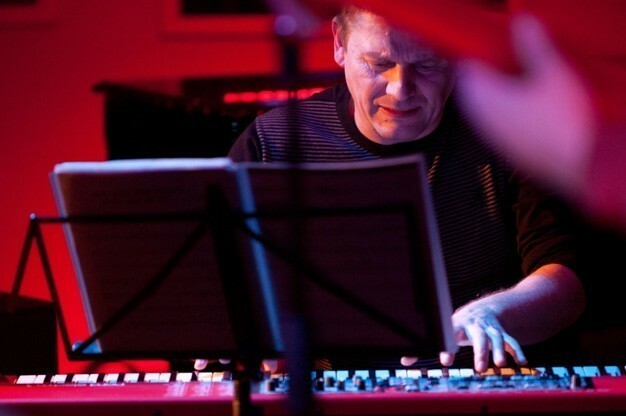 No matter what type of music you decide upon, if you hire a Pianist / Keyboardist, you’ll be rewarded with a stunning performance. 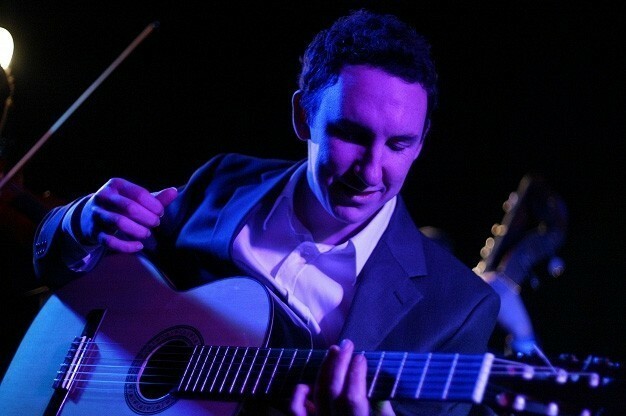 If you’ve never heard a Classical or Spanish Guitarist play, you really are missing out. This type of instrumentalist offers a beautiful and gentle background sound, which is perfect for wedding ceremonies. 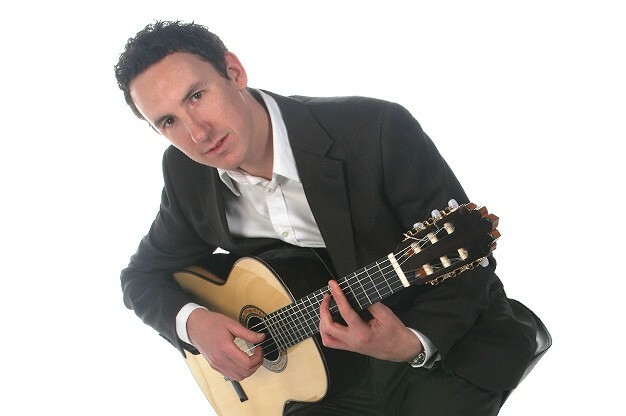 Classical / Spanish Guitarists are very unobtrusive and will happily sit on a stool playing their instrument and will give you a very romantic edge to your wedding ceremony. If you want to find a Classical / Spanish Guitarist near you, click here and you will see our complete selection on our entertainment directory! Prefer soulful music? Why not choose a Saxophonist for your wedding ceremony? If you are into Jazz or Soulful music, a Saxophonist would be the perfect choice for your wedding ceremony. We think that they would make an amazing unique performance, offering warmer music for during your big day and certainly a type your guests might not be expecting! Saxophonists can play such a wide variety of music, and with such power in their sound, can cater for much bigger wedding venues. Want to find a Saxophonist to perform on your wedding day? Click here to be taken to our available listings. 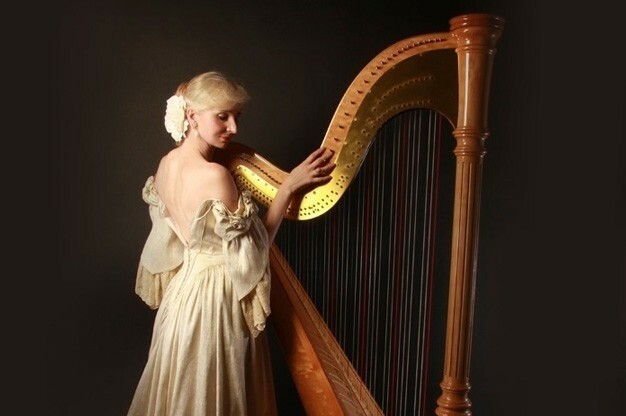 Harps are the most romantic instrument around according to many wedding polls and magazines and it’s easy to hear why when you hear a Harpist perform. Strumming and plucking strings on this elegant instrument offers a very subtle background ambiance which makes them perfect for wedding ceremonies and other romantic gatherings. Harpists are very talented and train for a number of years in their instrument and will also offer either classical music or instrumental versions of modern songs. Want to keep things as romantic as possible? Choose a Harpist and check out our available listings on our entertainment directory! For a traditional Celtic wedding, why not opt for Bagpipers? Hosting a traditional wedding and want an authentic feel? Why not opt for bagpipers which are perfect for Celtic weddings and those with Scottish roots. Bagpipers offer a completely unique sound to all of the other instruments mentioned in this article and they have a very much a love / hate offering. 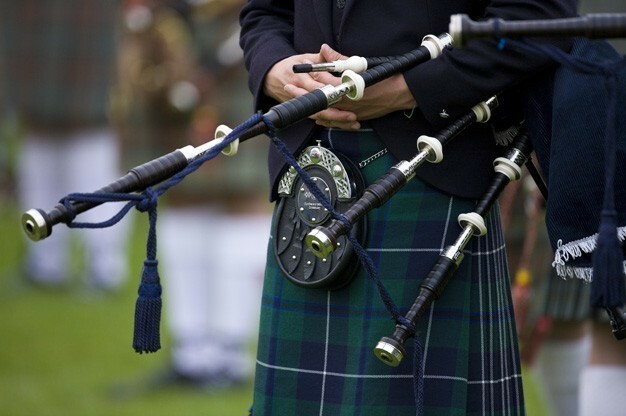 Bagpipers will happily play traditional songs such as “Flower of Scotland” or the “Wedding March”, although you might find it a little difficult to get a more modern song to work with this type of music. Find a bagpiper near you for your very own wedding ceremony and get booking! If you want a gentle sound for your wedding ceremony, we highly recommend a flutist. Choosing a flutist not only gives you a bit of a different sound for your wedding, but they take up little space too during their performance, so you’ll be able to book one, not matter how intimate your wedding venue is. The flute is a woodwind instrument, so offers a completely different sound to the many string instruments we have already suggested. If you want to find a Flutist for your wedding ceremony, click here and you will be taken directly to our Flutist subcategory! These suggestions are just a selection of the different entertainment options we have available over on our website, www.EntertainersWorldwide.com – where you can find the perfect entertainment not only for your wedding ceremony, but for your whole day too! Using our entertainment directory you can source the right category of entertainment for your wedding ceremony and receptions, then book them too for absolutely no additional cost! All you need to do is click on the “Request a Quote via E-mail” button and you’ll be put in direct contact with your chosen performer. It really is that simple! We are one of the only entertainment directories that offers our services for free – so save time and make things easier when it comes to finding your wedding entertainment. Want to Save Time When Booking Your Entertainment? Sit back, relax and have your Entertainment contact you! By adding a post to our website e.g. ‘Cellist required for Wedding Ceremony and on 14th December’, our available acts will contact you by email. Look at the Entertainer’s publicity, decide which is your favourite and contact them directly! The entire service is completely free of charge. Tell us what entertainment you are looking for now and we will do the rest! Contact us.